"He gets in your head… like a virus." Sony has released the first teaser trailer for the spooky Slender Man movie, based on the internet meme/myth about a tall, creepy, "slender" man that haunts kids. The whole Slender Man idea has already worked its way into pop culture and reality, so of course they've decided to make a movie about it. And so far this seems like just another horror thriller. Slender Man stars Joey King, Julia Goldani Telles, Annalise Basso, Jaz Sinclair, Javier Botet, Kevin Chapman, and Michael Reilly Burke. This teaser is way too obvious about covering up the blood and gore in order to get an MPAA approval, and that bothers me more than any of the footage. I am curious to see more, could turn out good. 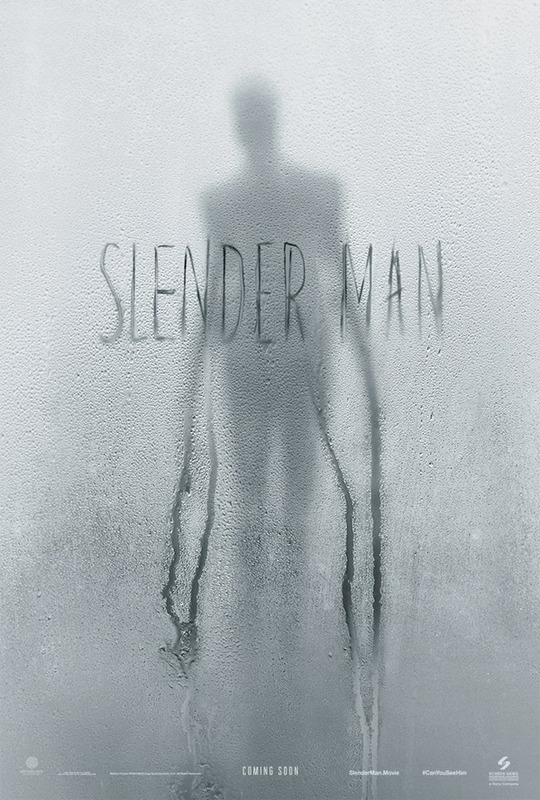 Slender Man tells the story of a tall, thin horrifying figure with unnaturally long arms and a featureless face, who is reputed to be responsible for the haunting and disappearance of countless children and teens. Slender Man is directed by French-American filmmaker Sylvain White, director of Stomp the Yard, The Losers, and Miserere previously. The screenplay was written by David Birke. This is inspired by a fictional supernatural character that originated as a creepypasta internet meme created by Something Awful forums user Eric Knudsen (also known as "Victor Surge") in 2009. Read more about the history on Wikipedia. Sony will release Slender Man in theaters starting May 18th, 2018 this summer. First impression? Thoughts?